For the third day of Snacking all the way, I have a deep fried chips made with Potato. I had plans for making puffs, somehow all the three days I have been trying, I just couldn’t make it. So that will be following for another day. When I was thinking of this snack, I had problem with finding the right mould. I wanted a thin flat one, that would give a ribbon pakoda style. I couldn’t find it and ended up with this shape. I thought of baking it, then as time was short, I deep fried it. These are supposed to be consumed right away as these don’t stay crispy for long. However after frying, serve hot with sauce, its so delicious! MW the potatoes for 5 mins, soak and peel the skin off. 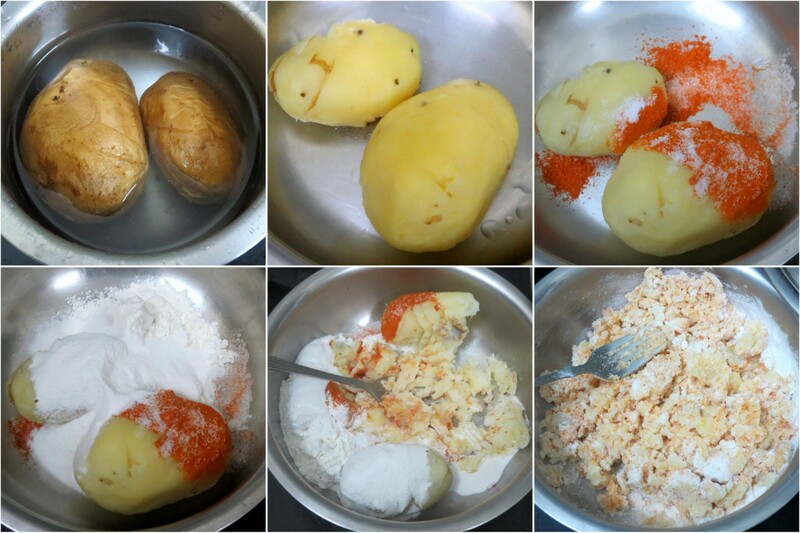 In a bowl, add the potato, flours, red chili powder, salt and mash well with fork. Mix well together and add more flour if required. 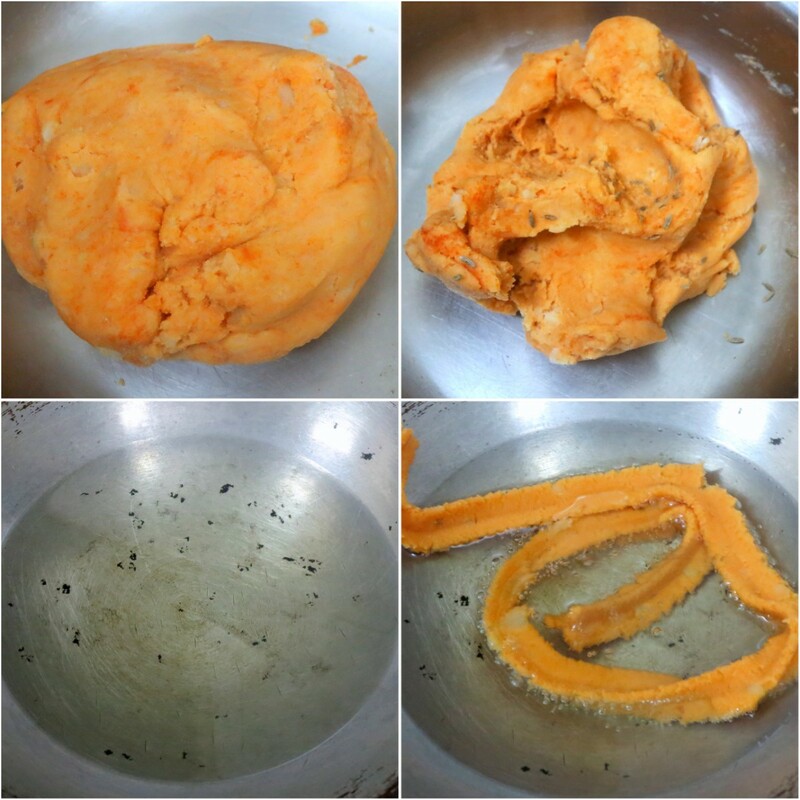 Heat oil and in the murukku press, add the dough and press out in hot oil. When its cooked well, drain out in a kitchen towel. Different chips, interesting one Valli..
Thats an interesting one Valli ! I like these crunchy bites. Those looks so addictive . I wish I would have that murukku maker to try some. I am sure they are very addictive. These look good and would make an excellent evening snack. yumm, potato murukus look so crispy & delicious. Muruku look yummy. 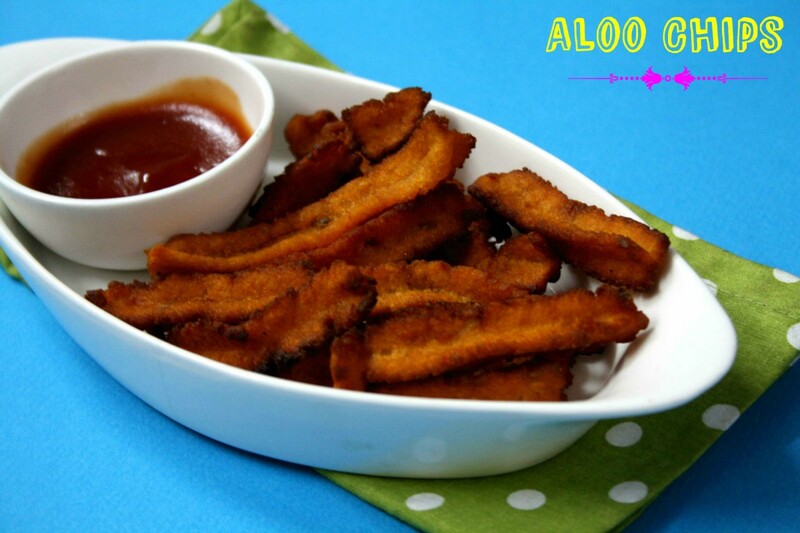 I tried these with gram flour and am sure these tasted very good. 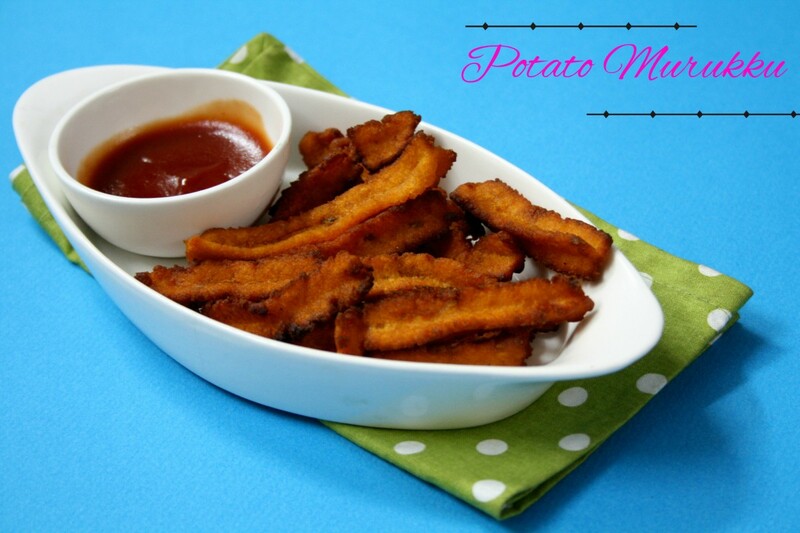 This is such an interesting recipe Srivalli, something that can be made when the kids want something quick and tasty! perfect snack for tea time!!! what a cool idea – making these with a press! Must have been an yummy snack. These are like potato murukku, right? Then how come they don't stay crunchy when they cool down? Suma, Even I was surprised about it, since I was held up with something else I didn't take time to look into why it didn't say crispy. I had added enough rice flour as well. I think since the potato was more sweeter, it turned that way, I could be wrong..:)..but konda loved it when it was hot and it was crispy, will make it sometime again to check it out..